good for whatever occasion, and always just as good the next day (Henry). 1. Dice onion then toss diced onion into oiled up saucepan. Cook until onions become either golden or partially cooked. Then throw in crushed garlic cloves. Add the onions, then the garlic after. 2. 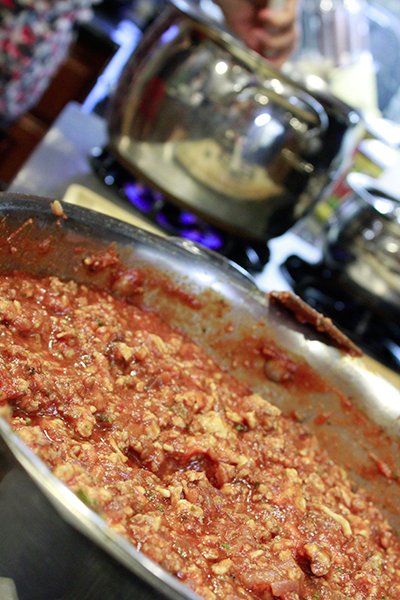 Add the minced meat into the pan. Using either a fork, potato masher, or wooden spatula, mash up the meat to remove chunks. 3. Once meat broken up and nearly done cooking, throw in the tomato sauce and tomato paste. 4. At this point throw in salt, pepper, Worcester sauce, and sweet chili sauce and begin to season appropriately. 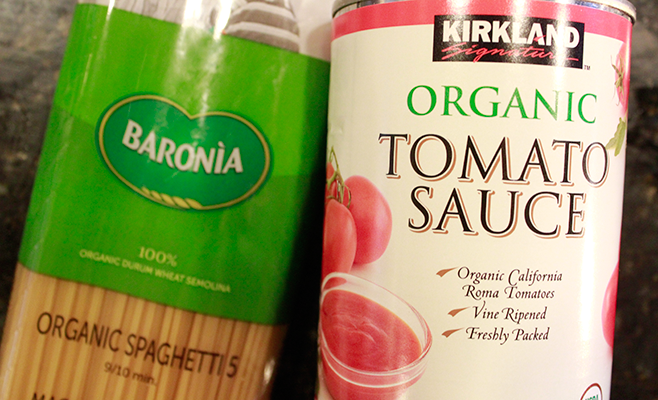 Also at this time begin to boil the water for the pasta. 5. Taste sauce and make adjustments. Throw in the lemon juice at this point. 6. Chop herbs finely and throw them into the sauce just before the pasta is ready. Then drain the pasta and serve. Checking the pasta for cookedness.